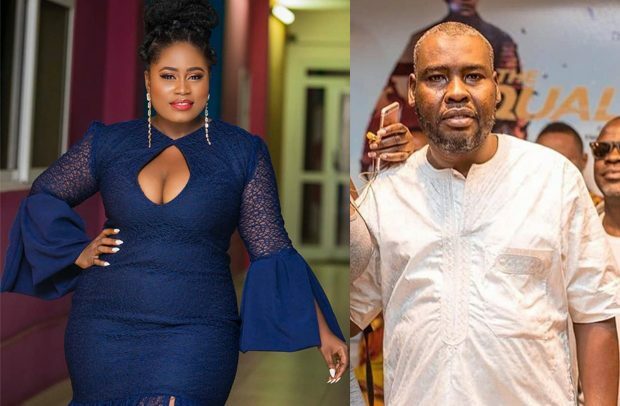 Actress Lydia Forson has appeared in latest promotional materials for producer Abdul Salam’s new film titled ‘Getting Married’. Indications are that she is playing a major role in the film which will be released on December 24 via grand premiere in Accra. The new film will be Lydia’s first-ever production for the CEO of Venus Film production since her acting career which spans over a decade. There have not been obvious reasons why they haven’t work all this while. However, NEWS-ONE sources revealed that Lydia Forson was supposed to have been featured in Venus’ 2010 film, ‘4play’, but that didn’t materialise over claims that both parties couldn’t agree on a certain term. She was allegedly replaced with Roselyn Ngissah, who played Angie. In ‘Getting Married’, Lydia stars alongside Jackie Appiah, Nadia Buari, Christabel Ekeh, John Dumelo, Fiifi Coleman, Elikem Kumordzi and others. The film is a story about Faith (Jackie Appiah) who comes from a religious home with her father a renowned pastor upholding high values of a Christian home, yet she keeps some crazy friends in the persons of Peggy (Christabel Ekeh), Jessica (Nadia Buari) and Afua (Lydia Forson), who are helping her prepare for her marriage to her long-time boyfriend Jordan (Fifi Coleman). This is Lydia Forson’s second time of acting experience with Jackie Appiah after their first in Sparrow Productions’ ‘Perfect Picture’ directed by Shirley Frimpong Manso. ‘Perfect Picture’ turned out to be a great one and they went to extent of winning awards with their roles. The world is currently waiting to see the turn-out for ‘Getting Married’.